The agency won’t recommend charges against the White House hopeful for her “extremely careless” email choices. Like bankers who escaped prosecution, including Countrywide’s Angelo Mozilo most recently, Clinton may find the result of limited value when it comes to public trust. 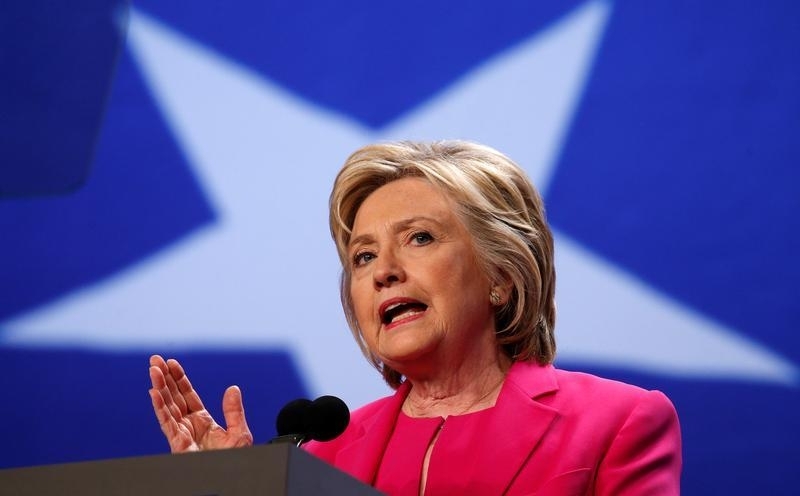 Democratic presidential candidate Hillary Clinton speaks at the National Education Associations 95th Representative Assembly (RA) in Washington, U.S. July 5, 2016. FBI Director James Comey said on July 5 that his agency is not recommending criminal charges against Democratic presidential nominee Hillary Clinton for her use of private email servers while she was secretary of state. Comey said although there is evidence Clinton was "extremely careless," the FBI did not see "clearly intentional and willful mishandling of classified information." It will be up to Justice Department prosecutors to decide whether to follow the FBI's recommendation. The decision comes after Clinton was interviewed by agency officials on July 2. The investigation focused on whether classified information was improperly stored or transmitted through her personal email system, which is a felony, or whether Clinton knowingly removed classified information, which is a misdemeanor. The FBI also looked into whether her networks had been hacked by criminals or other countries.